Yes, bird saliva and black eggs are actually edible. Growing up in New York City, I was able to indulge in the Cantonese cuisine my parents had grown up with. Whether it was over elaborate banquets at restaurants or during hectic morning dim sum rushes, Cantonese food brought people of all generations together at the table. How many of these can you recognize? Personally, vermicelli and other noodles have always replaced shark fin whenever I had this dish — hence, the "fake." This soup is usually scooped out from a large bowl at a big family event like a grandparent's birthday, a distant cousin's wedding, or a holiday dinner. 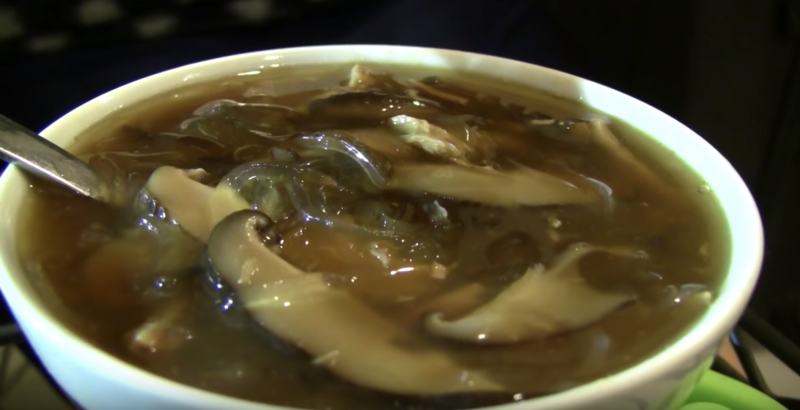 Red vinegar and sesame oil can be added to bring out the flavors of the mushrooms, meat, and black fungus. 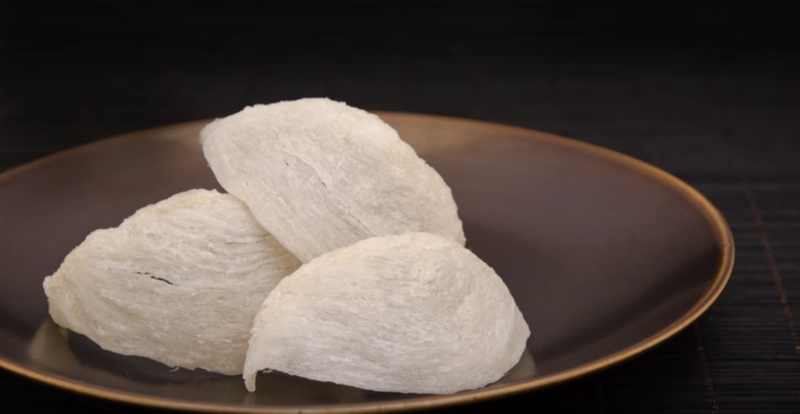 Although James Corden has continually ridiculed this delicacy, it is one of the most expensive and sought after ingredients in many Asian countries. It is cultivated from the Indian swiftlet's nest, made entirely out of solidified saliva, and people have to scale up the walls of caves in the dark for them. Then, it is harvested before being sold to the public. Growing up, I was always told that it held anti-aging and health benefits and had high nutritional value. It can be bought in its dried form to use in soups or as concentrated liquids in glass jars. It's perfect as a gift for any older relatives you have! 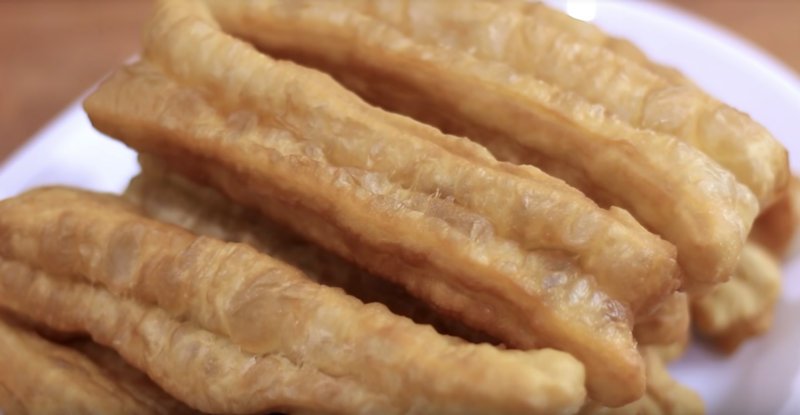 Also referred to as youtiao, these deep-fried pieces of dough are often eaten alongside a bowl of congee in the morning. However, they can also accompany any other dish from warm stews to a cup of soy milk. 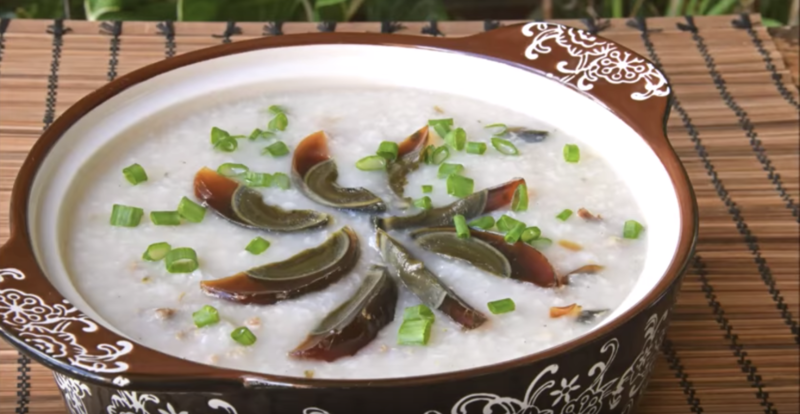 Congee is made of rice boiled with water that has been flavored with a variety of toppings. The century egg, also referred to as pidan, is a preserved form of quail, duck, or chicken egg that takes months to make. Although its appearance can be shocking, its flavor is delicious, especially in this dish. 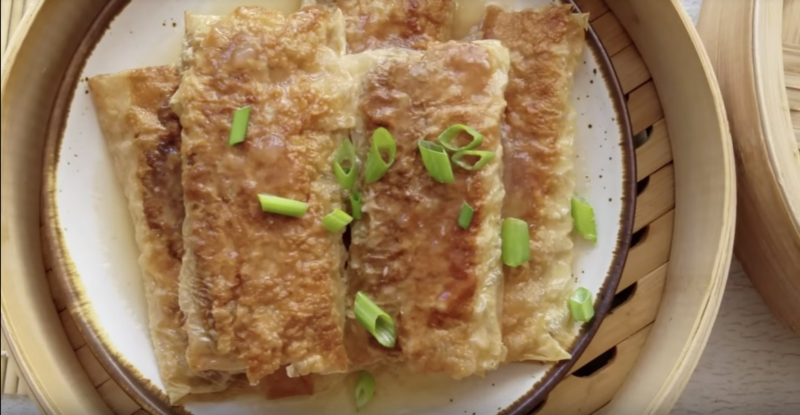 Often made with lean pork, green onions, and garlic, it easily warms and fills your stomach on a cold day. A common dish passed around at dim sum, tofu skin is made up of film collected from boiling soy milk that has been pressed together. A personal favorite of mine, this is also present in soups and stews that have been flavored with a strong meat base, like pork. It soaks up the flavors of other ingredients in the dish and its soft texture melts in your mouth. A common dish at the dinner table, its name directly translates to "the heart of a vegetable." 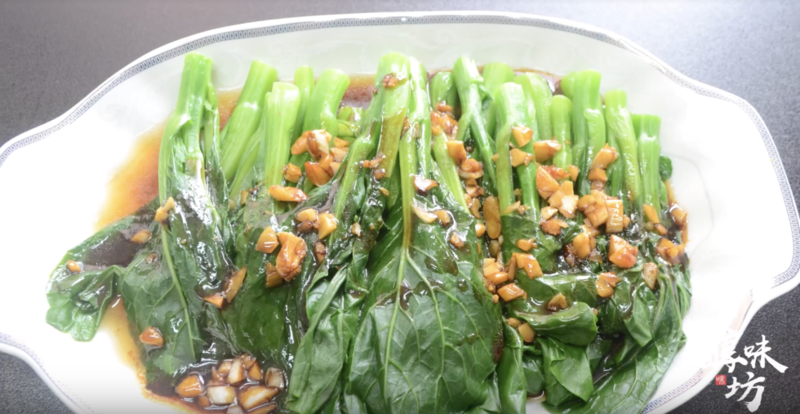 This leafy plant has yellow flowers that are cut away before it is stir-fried with sliced garlic and other seasonings. 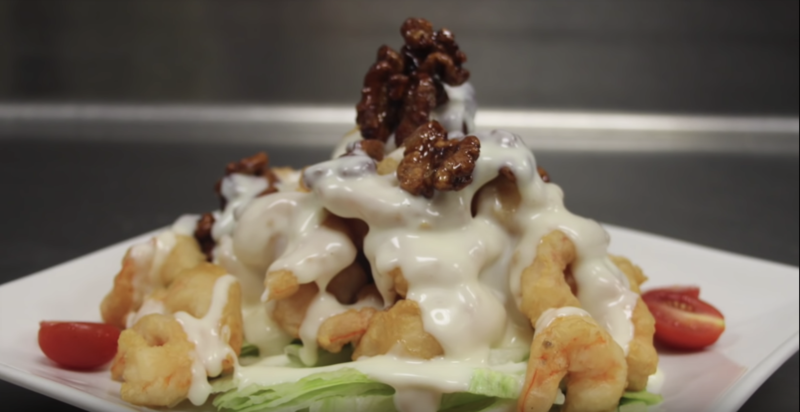 Often ordered at Chinese restaurants, this dish features battered shrimp covered in condensed milk and served with honey glazed walnuts. Usually, it is also served with more condensed milk that has been deep fried. A favorite for children and adults alike, the balance of flavors in the authentic version (not the ones you get at Panda Express) is irreplaceable. Also referred to as lo mai gai, this dish is usually found at dim sum restaurants. 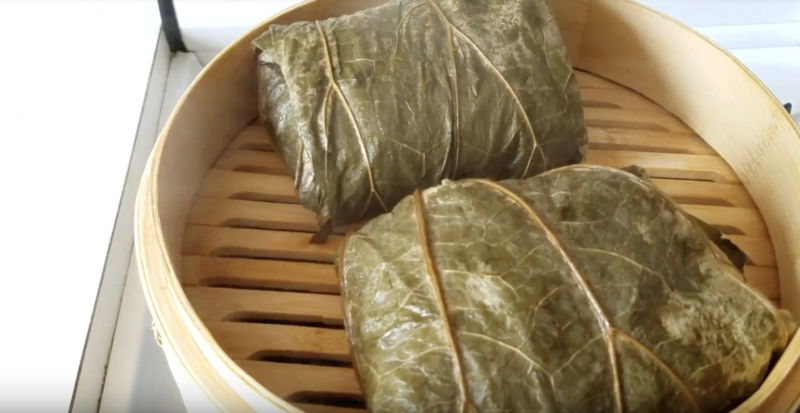 It is made with glutinous rice, sausage, dried shrimp, scallions, and a salted egg wrapped and steamed between two lotus leaves. As it is quite large, it is the perfect dish to unravel with family and friends at the table!